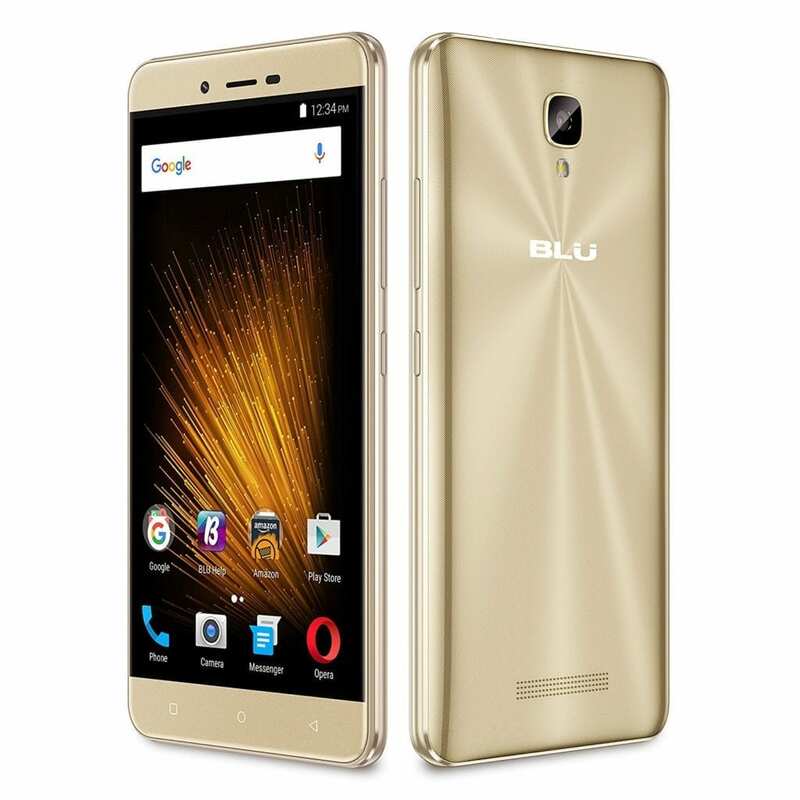 This is probably the most good looking smartphone from Blu so far. Besides the nice design, Blu Vivo XL2 also features an impressive hardware components. This makes it a perfect match for someone who wants a nicely designed smartphone with good enough performance. However, the Blu Vivo XL2 lacks a fingerprint sensor which might make it a deal breaker for some. Let’s have a look at how much value you’d get for your money. As stated earlier, the Blu Vivo XL2 is the type of smartphone that catches your attention on the first look. It features a radiant metallic lustre and a quite solid ergonomics. According to Blu, it has an engraved micro pattern and electrolyzed colour particle giving it the attractive premium quality. Moving to the display, the Blu Vivo XL2 boasts of a 5.5-inch 1280 X 720 pixels display covered with Corning Gorilla Glass 3. This provides protection against scratches and cracks in the screen. It also features a pixel density of 267 ppi and well curved edges. There’s an ample 3, 150mAh battery powering up the Blu Vivo XL2 smartphone. In line with a 5v/2A quick charger support for faster charging. This is enough to get through a day considering the not too demanding specs. On the rear side, there’s a 13MP sensor mounted alongside a flash for taking pictures that are quite impressive for a budget smartphone. For selfies, there’s an 8MP camera with phase detection autofocus for better selfies and a flash in case of low light. Under the hood, the Blu Vivo XL2 smartphone haa a Quad-core MediaTek MT6737T which is not nearly as fast as those featured in more premium smartphone but is enough for a smooth operation. Additionally, the smartphone has a Mali-T720 GPU handling the graphics. On the other hand, the smartphone sports a 3GB RAM and a 32GB internal storage space extendable up to 64GB using a MicroSD card in place of the other sim. The Blu Vivo XL2 runs on Android 6.0 Marshmallow straight from the box. The Blu Vivo XL2 is available for sale in various online stores and smartphone retail outlets. It has a price tag of about 54, 000 Naira depending on your location and the deal.